Cover of TEA. A Magazine. Happy New Year, TeaPeeps™. Here we are in the middle of January, and this only my second blog post. Where has the time gone? You’ll be happy to know I’ve been sipping and sampling some very nice teas these last few weeks. I’m a lucky TeaGirl! Ok, so the big news for the new year is that our “Drink for Change” Obama Blend tea has made it to TEA. A MAGAZINE. Yep you will see it, yet again, on the cover of the Winter 2009 Issue. Thanks to Pearl Dexter, Editor/Publisher for approaching us! She has also featured a little story about us and Jack Cheng on Page 28. See what one little Twitter can do? If you haven’t already picked up your issue, scurry on out and scoop up a copy. This issue could sell out quickly! I believe it hits news stands… any second. History making cover? Yes. Amazing tea illustration? Absolutely. Tasty tea blend? You will love it. Let me be absolutely clear, this organic African Red Bush Rooibos based tea has Honeybush, Pineapple, Papaya, Ginger, Rose petals and Cornflowers. It’s smooth, fresh and lacks bitterness. Environmentally friendly, unexpected, and a little left of center. Contributes to your overall well being and Health(care). Steep for 3-5 minutes and enjoy. Caffeine Free! Here’s to our new President Barack Obama (let’s send him positive energy) and the beginning of living and sipping change! Any news about ceylon tea is going to catch my attention. So when an article by Steve A. Morrell popped up in my email box this morning about ceylon tea sales it caught my attention. 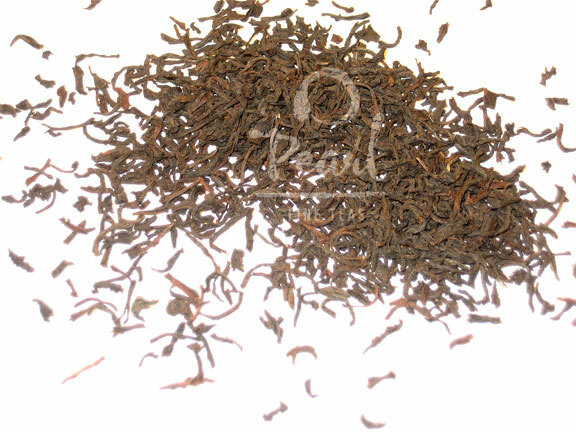 What countries are the largest buyers of Ceylon tea? According to the Tea Market Update, Volume 4 No. 2, UAE (United Arab Emirates) beat out Russia by the end of the first half of 2008 with imports of 23.5 million kgs of Ceylon accounting for 16% of total tea exports from Sri Lanka. Russia showed a minor drop from 24.6 to 23.2 million kgs. Iraq, Jordan and UAE are among the top 10 destinations. I’ve heard that steeping tea between 3-5 minutes brings out the most flavonoids. Admittedly, I sometimes prefer my black teas around 2 minutes, but will go to 3 minutes with a fabulous ceylon. For me, ceylon tea is smooth, complex and lacks bitterness. I often say that ceylon tea is the Pinot Noir of the tea industry. At least according to my taste buds. Our ceylon this year comes from the Shawlands tea estate which is located in an altitude of 1,173 mts. with a tea growing area of approx. 295 hectares. Tangy tea straight from the UVA district.